Kaltura is open-source video streaming platform that provides an array of video streaming services to the publishers and content developers to broadcast their media content over the internet. Famous for its high-end media handling capabilities, Kaltura operates in four major verticals (Cloud TV, OVP, EdVP and EVP) and aims at powering all types of video experiences. It helps various organizations to reach their targeted audience with no complexities involved, thereby generating more leads and driving more conversions. Out of the many applications of Kaltura is transcoding of media which is perhaps the most significant of all. 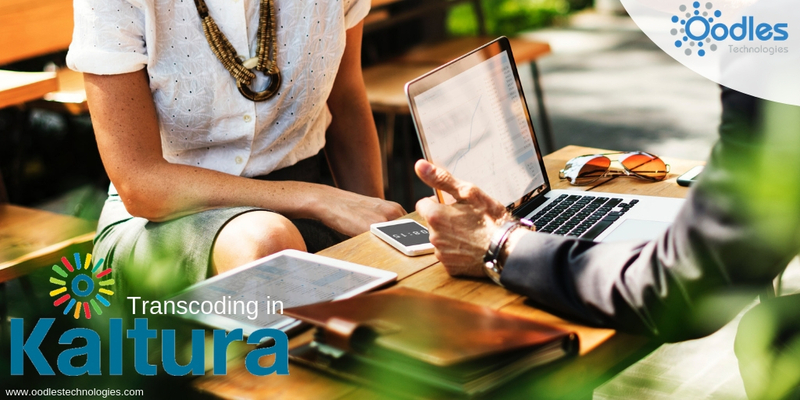 In this blog, you’ll get to know how you can create and manage a transcoding profile in Kaltura. Also read A Brief Guide To Kaltura Video Streaming Platform. When you upload a video to the Kaltura Management Console (KMC), the video gets linked with a conversion profile which is also called a Transcoding profile. You can create multiple profiles on KMC depending on your needs but one profile will be selected for each upload session. You can also select a default transcoding profile which will be selected each time you start a new session. Transcoding in Kaltura is performed by taking an encoded video file and converting it into one or more compressed streams. The transcoded streams can then be played in a wide range of digital devices including media players, laptops, computers, TVs, mobiles and tablets. You can create a transcoding profile on KMC by following these steps. Go to the Settings tab and click on Transcoding Settings. At the bottom left corner, select Switch to advanced mode. Click Add Profile button. This will prompt a new pop-up window where you can select from the available transcoding flavors, create new transcoding profile or select an existing profile. Give a name and description to the profile you want to create. Select flavors (as per availability) to your profile and apply to the video source. The selected flavors will all be activated. You can also edit a flavor later if need be. Select the Remote storage name if you want new entries to be linked with the media assets located on your CDN or remote storage. Finally, click on ’Create New’ and your profile will be created. You may also like Recording Your First Video Session Using Kaltura CaptureSpace. Once you have created a transcoding profile on KMC, you can always edit the profile later as per your requirements. Given below is a step-by-step guide on how to edit an existing transcoding profile on KMC. Just like you did while creating a profile, go to Settings tab and then Transcoding Settings. The same Transcoding Flavors pop-up will appear showing the flavors that you selected while creating the profile. Again, click on Switch to Advanced Mode that will take you to the Transcoding Profiles window. Click on a transcoding profile you want to edit or delete. Click Delete to remove a transcoding profile. Checkbox the new flavors you want to add or remove. You can also set the default metadata settings such as tags/categories to the files you ingest. When you’re done with all the edits, click Save Changes and your profile will be updated.